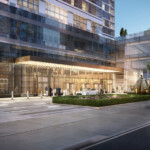 Extell’s showpiece Hudson yards tower, 555 Tenth Avenue, and Joe Moinian’s Sky condominium on 42nd Street have come out tops in a list of city evictions. 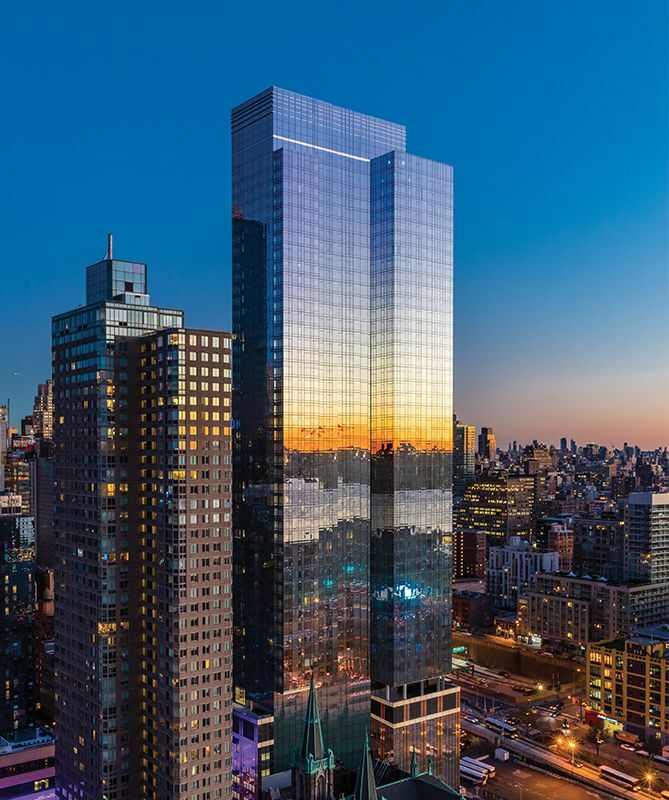 Since the beginning of this year, eight tenants have been shown the door at 555 Tenth (pictured top), a 56-story rental where median rents are $3,390 a month. Around the corner at 605 42nd Street, where median rents are the same, the Moinian Group has evicted five tenants from the skyscraper so far in 2019. The numbers surfaced in a survey of New York City evictions by web platform, RentHop which found that, overall, evictions are down 9.6 percent in the Big Apple from the same time last year. The study found no correlation between median rents and the number of evictions, and while reasons for evictions aren’t publicly available, they are typically for nonpayment of rent. RentHop also found where there was a concentration evictions, the addresses turned up an ad for an Airbnb. “It may be that people in Manhattan are Airbnb-ing their apartments and getting evicted,” said McHale, though he clarified this as a theory and not data-driven. The study found that both Brooklyn and The Bronx have the highest eviction rates, although both saw sharp drops from 2018 to 2019. The Bronx went from 1,558 to 1,225 and Brooklyn went from 1,170 to 994. Manhattan evictions fell from 518 to 486 while Queens dropped from 733 to 716. The fewest evictions were in Staten Island, where numbers fell from 127 to 97.